We are back and ready to make you dance! 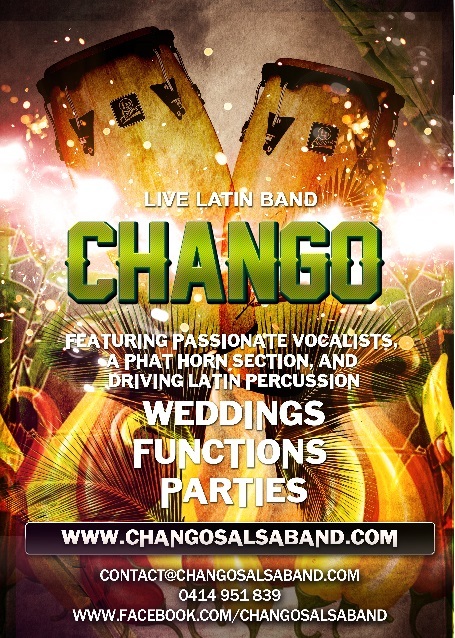 Chango are playing a FREE GIG at the Petersham Bowling Club – bring your dancing shoes, bring your family and friends and come and have some fun! Child-friendly, great craft beers and tasty food.